"I really like the variety of sounds and moods on this album which convey more of a zest for life than many recordings of this type." "Destined to become a classic release, withstanding the test of time like the purest musical treasures of our time." 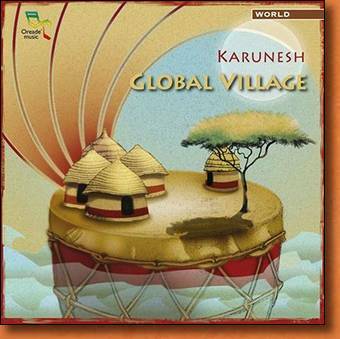 "The upbeat interplay of diverse cultures meeting in harmony once again reflects Karunesh's inspired artistry. All of this clearly influences Global Village: sensual dance grooves, the island spirit, globe spanning instrumentation with a strong Indian influence, and refreshing ambient sound. Renowned for his emotionally rich ambient music Karunesh takes us a little further on a moving and meaningful journey."